Come join us for an intimate and informative day of fun, food, and unique ideas- designed to help you plan for your perfect wedding day. Only a limited number of tickets are available, which assures adequate time to experience the full range of personal service available for your wedding. 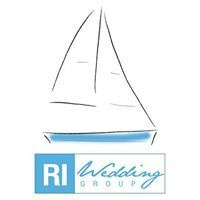 Each RI Wedding Group member is a wedding industry pro that adheres to strict guidelines of quality, service, and reputation, with many having well over 10 years experience tailored specifically towards weddings. This exclusive event is not to be missed! Act fast because space is limited! There are thousands of dollars in prizes are available at this one-of-a-kind wedding event. Items and services that you already plan to purchase for the wedding could be yours for an incredible bargain... all while providing for a good cause! Proceeds will be donated to Save One Soul Animal Rescue League. Save One Soul Animal Rescue League (SOSARL) is a non-profit volunteer-driven dog rescue organization based in Rhode Island and serving the Southern New England area. We are dedicated to rescuing homeless, neglected, abandoned and otherwise at-risk dogs that have found themselves in distress, and re-homing them permanently. Our dogs primarily come from overcrowded high-K*ll shelters in the South and/or our extensive foster home network in the Southern US. 2019 Oakland Beach Cruise Night!